The Okidokeys smart lock is so brilliant, they should change the name to the Okidokeys brilliant lock. Last week I went skiing with a friend while our kids were at school, because that’s what you do in Colorado. But when she checked in with her kids, she discovered that neither one of them had a key to the house, and had to scramble to make arrangements. Thanks to my Okidokeys smart lock, not only did I know that my kids could get in the house, I received a notification on my phone when they did. When we saw Okidokeys at CES in January, I was pretty impressed. But now that I’ve installed their smart lock and smart reader in my own home, I’m kind of wondering how I ever lived without it. 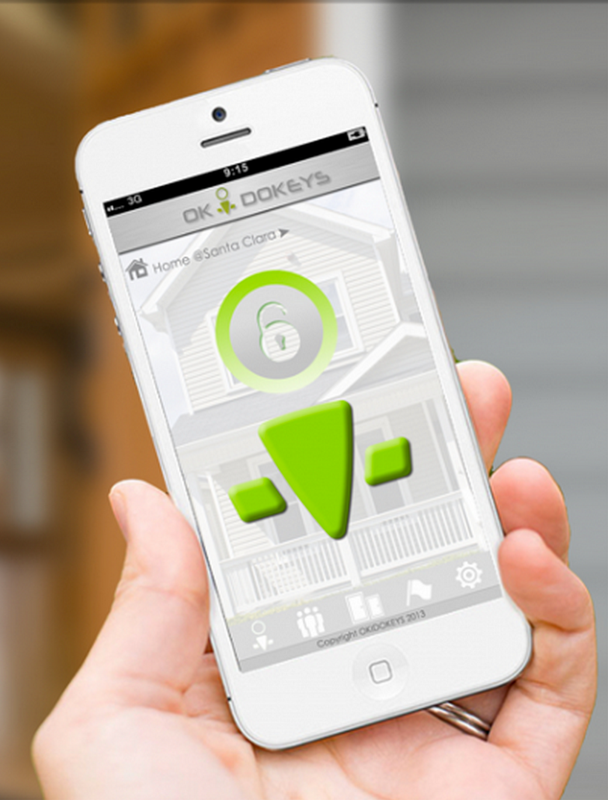 The Okidokeys smart lock is installed on the inside of your door, in place of the thumb lock for your deadbolt. So basically it enhances your existing deadlock. No wires or drilling required. The key lock stays on the outside of your door, so you can still use your traditional metal key there. Pop the batteries inside the lock housing, and you’re ready to set up your Okidokeys account on their portal. That’s where you can add users and control their access. The smart lock is compatible with any iPhone or Android phone running Bluetooth 4.0 — so basically iPhone 4S or later, and the whole Galaxy series. Meanwhile, the smart reader lets you use smart tags (like a key card you get at a hotel) and non-Bluetooth phones to unlock your door so that old hand-me-down will work too. For me, it was a piece of cake to install the Okidokeys smart lock, and the portal is pretty self-explanatory too. And it’s easy to create an approved smartphone user, who needs an invitation from you, an account, and a 4-digit PIN. Keep in mind users need both the app (or a registered smart tag) and the PIN to unlock the door. Naturally, my biggest question was whether Okidokeys is secure. Any lock is only as secure as the people who have access to it. But with the authorization and PIN, that gives the Okidokeys smart lock two extra layers of security that metal keys don’t have. Plus encryption on par with what the military and banks use which is pretty reassuring. Related: The ecobee 3 smart home thermometer: Do you need one this fancy? That’s the question I wanted to know too. In that case, you’ve got the smart reader tag to get you inside — also great if your smartphone dies. (That’s happened once or twice.) You also have your regular keys. Meanwhile, you can hop on absolutely any phone, PC, or tablet, log onto their portal, and revoke accesses. So you have a lot of backup plans. That also makes it a potentially safer plan for people like sitters or dog-walkers or visiting guests, instead of making them a spare key, which can be duplicated. I admit I’m feeling a little more cautious about the Okidokeys smart reader though. For one, it’s placed on the exterior of your door with a strong adhesive strip. That makes me a little nervous — what if some jerk pries it off? No, they won’t be able to get into my house, but now maybe my kids won’t be able to get in. Also, I’m out a smart reader. That said, the smart reader could be perfect for safe apartment buildings where it’s not likely to be tampered with, and it’s great for younger kids who don’t yet have smartphones and who are better able to wave a wristband in front of the smart reader than use a key. If you’ve got younger kids, I say go with the access pack which includes the lock, the smart reader and 3 tags. You can always opt to remove the smart reader if you aren’t comfortable with having it outside your house, or when everyone graduates to smartphones and can be trusted with a metal key as backup. 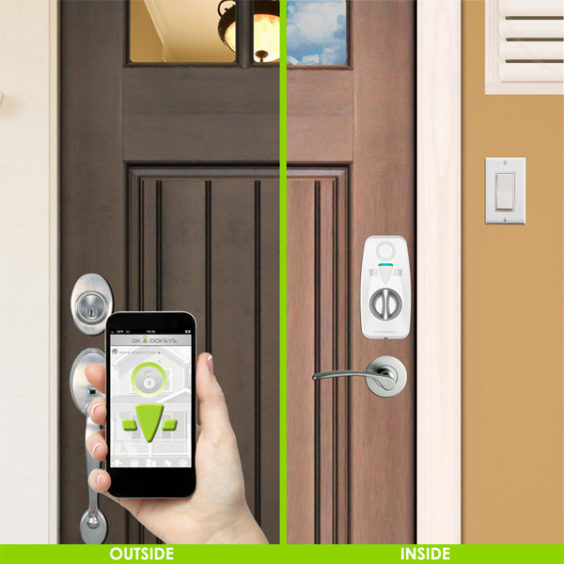 Either way, I’m betting the Okidokeys smart lock will have you wondering how you lived without it too. Yes, new technology can be scary and make us ask a lot of questions. But this one is really well-considered. Here’s to no more lost or forgotten keys. 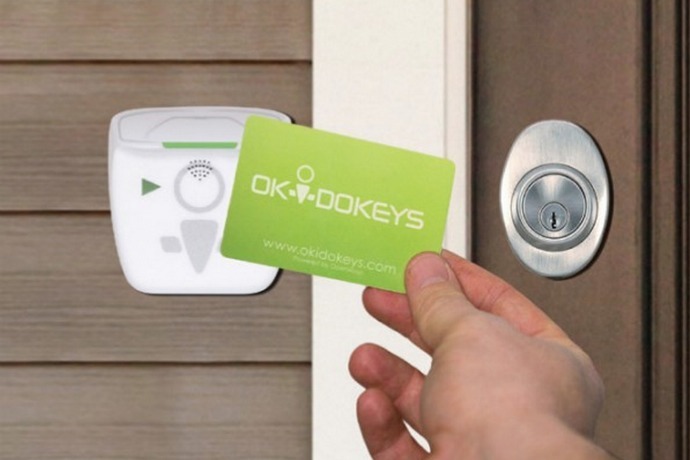 Learn all about the Okidokeys smart lock and smart reader on the Okidokeys website, including deadbolt compatibility and other specifics on the FAQ page. 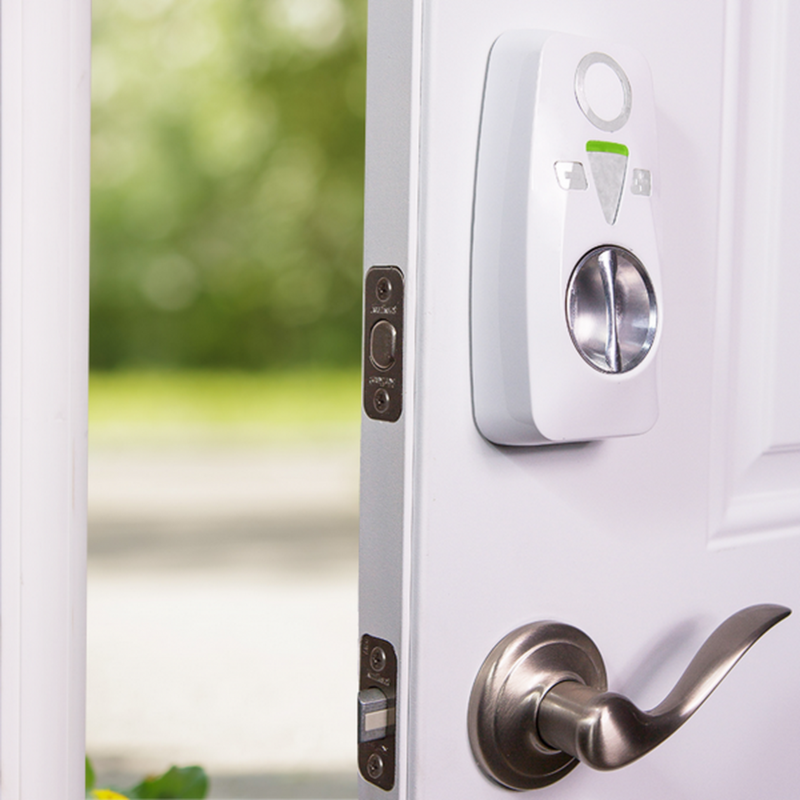 The smart lock is $199, and the access pack is $259. Thanks to Okidokeys for providing a review unit for us to check out.